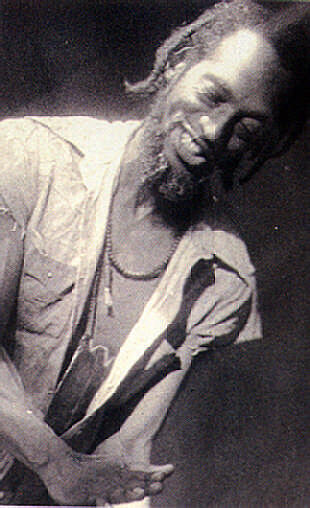 Legendary storyteller: Guyana's Marc Matthews. Thirty 10-year-olds are sitting on the floor with their eyes wide in rapt attention, enthralled. They’re in a primary school somewhere in the corn-belt of midwest America, listening to a West Indian telling them the story of how Compere monkey tricked Brer Alligator. Afterwards, they fire intense questions about the rivers in Guyana, and where is Guyana, and are the alligators there the same as the Florida alligators? Back in the Caribbean, a full house of adults is roaring an unsolicited chorus: “Who tell him say dat!” They’re responding to master storyteller Paul Keens-Douglas, who has his listeners eating from the palm of his hand. Anywhere, anytime and everywhere, storytelling strikes chords of memory, curiosity, intrigue: a whole world of wonderment. It is the most ancient of arts, as old as mankind. And storytellers and their audiences come in all shapes and ages, in all languages and techniques. The stories they tell reinforce traditions, explode myths, explain our lives and our history, celebrate the living and the dead, provide enjoyment and laughter. The calypsonian, the politician, the priest and the rapper are essential storytellers too. But wherever two people meet and tell each other about their family problems, about the cricket or baseball or soccer game last night, about the traffic cop who stopped them speeding last week, or about their impending medical operation – that is storytelling, at its most elemental. In the Caribbean, only a few performers would classify themselves as “storytellers”. But their art is popular in every island, and they are in much demand as performers far beyond the Caribbean. The network of storytelling performers and events seems to grow by the month. Perhaps the saturation of TV channels and videos is forcing people to look for the more intimate and personal experience of live performance and storytelling. 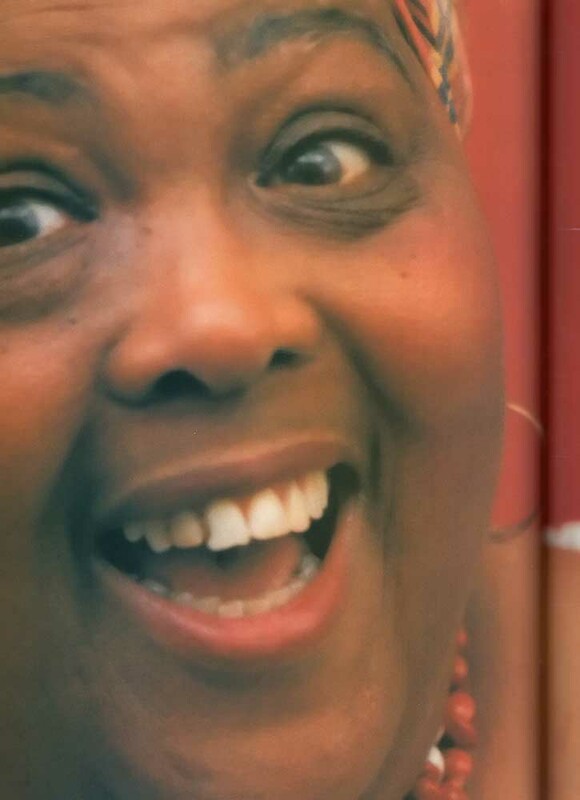 The accepted “mother” of Caribbean storytellers is the legendary but still active Jamaican Louise Bennett, lovingly known as “Miss Lou“, who now lives in Canada. Miss Lou writes in rhymed verse, responding to immediate incidents in her life or what she sees and hears around her. Her Colonisation In Reverse, about the boat-loads of Jamaicans and other West Indians who migrated to England in the fifties and early sixties and their effect on the British cultural landscape, and her romantic Love Lettah, are classics. So what mih caan spell, mih will draw. and give it to dis man . . . If there is one storyteller who has become a household word in the West Indies, it must be Grenadian/Trinidadian Paul Keens-Douglas. He writes in different styles, but his most popular tales are wildly comic narrations, a cross between poetry and short stories, about everyday Caribbean people and incidents embellished with just the right amount of exaggeration. His work can be found in six audio cassettes and four books. In Trinidad, Paul organises a highly successful post-carnival festival of his own, the Talk Tent, where he invites the best raconteurs in the island to perform. One of his most famous creations, Tanti Merle, is a household name among West Indians, especially her historic visit to a famous inter-island cricket match; and his Sugar George and Pan Rap, about the creator and creation of the steelpan, are popular legend. Den de pan can make quite a few. And de pan start to make a new sound. It is important to note that not all West Indians have the same accent; they do not all say “mon” for “man”, and the islands have their own sounds just as the United States is blessed with Brooklynese, Texan, Appalachian, inner-city black, Latin and Jewish, and England has its menu of Cockney, Yorkshire, Cornwall and Manchester. This rich complex of accents makes for great variation and excitement of “speechi-fication”. Marc Matthews in Guyana, on the South American coast south of Trinidad, is another outstanding storyteller. He writes of “small boy” days like nobody else, with his special creation “Carlton” who with his three friends catches crabs in a cemetery, jumps on a train passing through a village, and races bicycles made from scraps. Marc’s expressive body language is his particular strength when he tells these tales. The island of St Lucia has almost a national treasure in George “Fish” Alphonse, who tells stories in both English and the island’s patois, or Kweyol, a French-based people’s language. Dressed and made up as the traditional old man of the village, he is recognised and loved by every child in St Lucia as “Grandpa“. At a recent Conservation and Environment workshop in St Thomas, US Virgin Islands, he wrote and told a story about an Animal Convention run by the animals themselves. Alfred Pragnell is an institution in Barbados where he has been telling stories for more than thirty years. He sits on a stool, book or script in hand, and, reading in the unique Barbadian dialect, he “cracks them up” recounting the stories of local writers, among them the witty but biting social commentator Jeanette Layne-Clarke. The Trinidadian librarian/poet Pearl Eintou-Springer specialises in stories for children. Her storytelling has a strong philosophical base — traditional folk characters can be forceful messengers for developmental education. The character of Anancy, which originated in West Africa, has become a folk figure in the Caribbean as well as among African-Americans in the south, and has evolved into the small and physically weak Anancy Spider who has to use his wits and guile to outsmart the larger animals. Pearl uses these elements as a starting point to show how intelligence and native creativity can overcome adversity. Caribbean storytelling has become a fast-growing hobby and even a small industry in the United States, with hundreds of festivals, workshops and group-sharing events each year among an intricate network of tellers and agencies. There are even some storytelling courses being run by universities and colleges. Some Caribbean tellers are active within that network. In Canada, the most outstanding teller is librarian Rita Cox, originally from Trinidad, who was recently awarded an honorary degree from York University for her work in libraries and storytelling. Rickie Keens-Douglas (Paul’s brother) is a professional dancer/storyteller with his own radio show in Toronto. One of his stories, The Nutmeg Princess, which he has recently published, is now in my own repertoire. turn still upon de sea-face . . .
as if he listening to de drum and de bone flute . like tongues of fire . . . I find my own stories in the works of some of the best writers in the region, but I also tell old traditional folk-tales such as Monkey Liver Soup, about the monkey who tricked the alligator. My repertoire also includes poems and anecdotes which have narrative and dramatic qualities, and many of the pieces in my stand-up comedy routines are really satirical short-short stories. When you’re in the islands, look out for a Keens-Douglas or Alphonse or Pragnell, and make sure you go and hear them if they’re performing, or at least buy one of their audio cassettes.